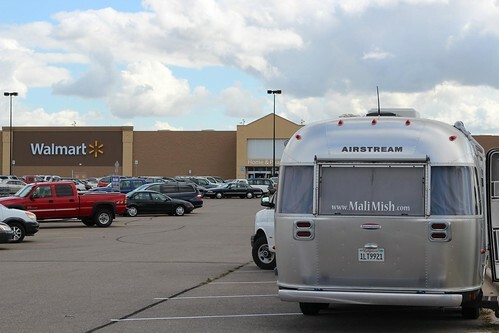 Mali Mish - Day 36: Three straight transit days to Minnesota Airstream Park. Day 36: Three straight transit days to Minnesota Airstream Park. When we pulled into this Walmart last night we immediately noticed that we needed sweaters. Having been worried about the heat for so long, it was kind of a welcome change to put on some layers for once. I just hope we don’t start making that a habit here or we will have to start heading south soon. Our third straight night of boondocking since we left Deadwood has us all the way across the other side of South Dakota and into Minnesota. We had spent about a week in South Dakota and there was much more to see than we had expected. We wished we would have spent more time in the Black Hills as we have heard tons of great places we missed in the southern Black Hills area like Hot Springs and Custer State Park. Hopefully we will be back through again another time. This last leg of a long transit to our next destination is through miles and miles of prairie land and countless numbers of farms. 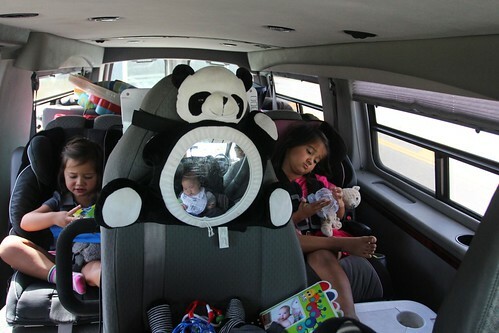 We have also been battling all of the flies that have found their way into the van as we drove east. I am guess it has to do with all of the cows we have seen along the way. 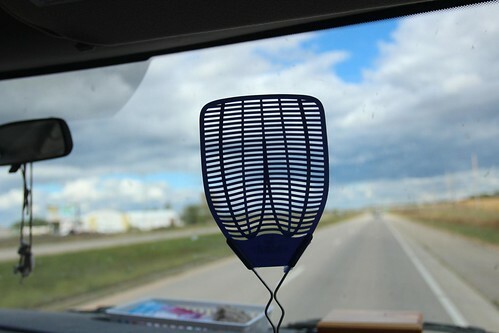 Some of the flies met their fate against the almighty swatter and others were lucky enough to escape but surely will never see their loved ones again that were left miles behind us in South Dakota. 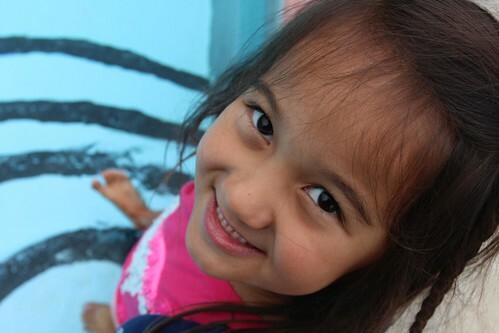 The kids did well in these last three days but they are definitely ready for some place to settle in for awhile. We met a nice couple at Alumafandango who are from Minneapolis and we told them about our trip that will take us through the Twin Cities to visit some friends in St. Paul. 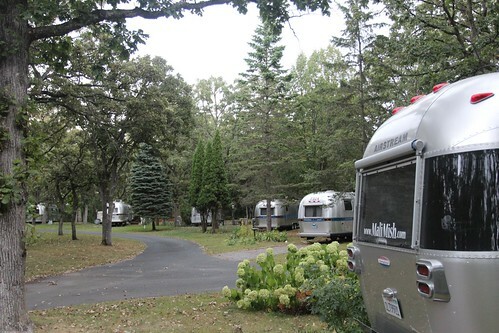 They told us that they own a lot at the Minnesota Airstream Park and offered us 2 free nights if we ever make it to Clear Lake. Well, that is an offer we cannot refuse. We had hoped to win some of the free nights that were given away during the Happy Hours of Alumafandango but it did not happen. Surely most of them went to people who have no plans of ever making it here. 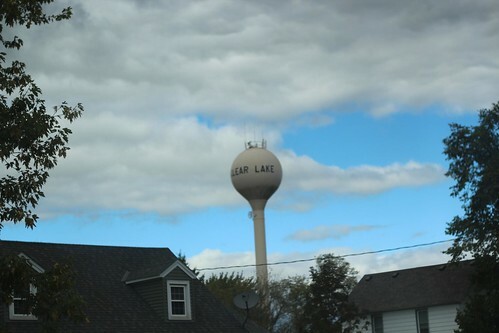 Clear Lake is a small town about 70 miles north west of the Twin Cities. We didn’t know exactly what to expect when we got here. It isn’t a typical campground so there are not the usual employees wearing yellow polo shirts running around trying to look busy. 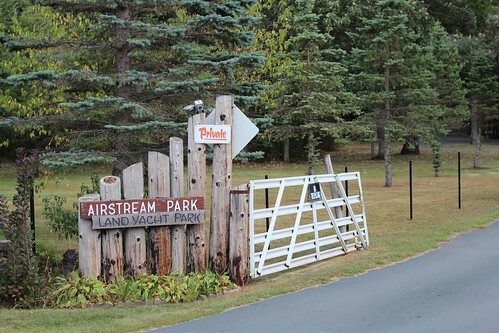 This park has been here for over 40 years and was first established by a group of WBCCI Airstreamers who just wanted a nice place to go and hang out with their Airstreams. There are about 125 lots and each one is privately owned. The park is set up as a co-op and each lot owner is a shareholder in the park. And of course, you need to have an Airstream to be able to own a space here as it is part of the atmosphere they were trying to create. I guess that might be seen as a bit segregationalist but it is no more so than a WBCCI chapter or any of the Aluma-WhatHaveYou events. At any given time, there are a handful of lots for sale. As we came in, we were handed a list of them and the prices range from $4,000 and up the $15,000 for lots without an Airstream. Some come complete with an Airstream for a lot more money for people who would like to buy in but do not yet own one. 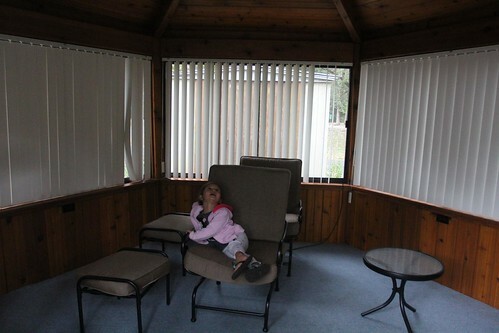 The main price differences lie in whether or not the lot has a gazebo like this one we have on ours. There is also a storage shed in the back so you can store extra gear that you wouldn’t typically have with you on a camping trip like a BBQ grill or a full-size refrigerator. 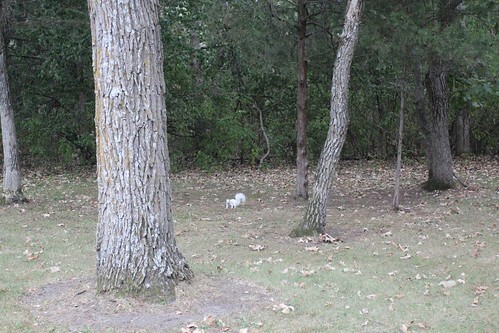 There were a couple of these all white, presumably albino, squirrels that live somewhere near our site. There are a total of 4 circles designed A thru D. We are in the D circle which is closest to the entrance. And once again, we had to put on sweaters here. Apparently we came in on a colder than usual day. It had been in the 80s in the days before but today it plummeted down into the 60s. Some might assume that this would be a nice place to live year-round in your Airstream for only $4,000 a lot. Even though there is an additional $100 a month worth of association fees, that still isn’t really that much considering all that you get. But the biggest reason why it can’t be a full time park is because all units must vacate during the winter. It is mainly because of the usage permit of the property does not allow for full time usage and residency. 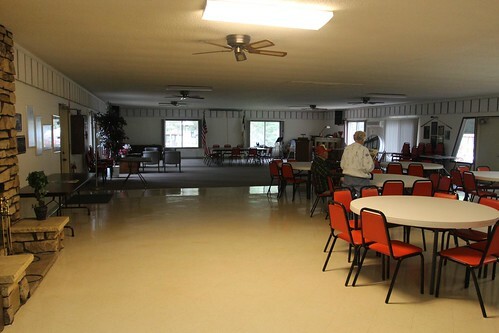 It actually gives it a much nicer, camground-like, feel than what other full-time RV Co-Op Resorts eventually turn in to. 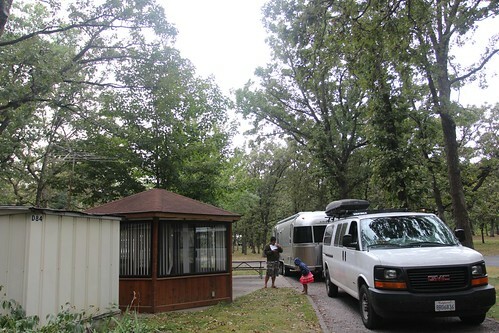 In many of those full-time RV resorts, people end up building structures on their lots around the camper and putting up skirting that makes the place look more like a trailer park than a campground. Not so here. 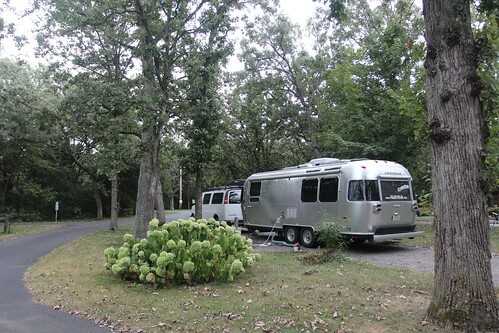 This place is like an Airstream paradise in the woods. 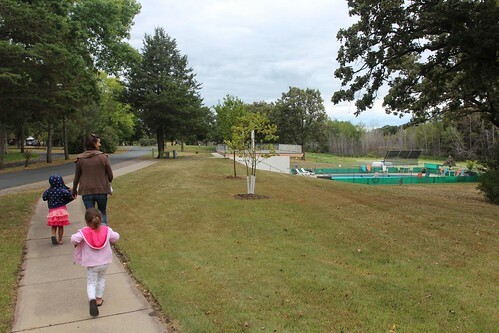 Even though it was cold today, the pool was open and will be for a couple more weeks before it closes for the season. Since it is after Labor Day, it is very quiet here. There are lots of Airstreams in the lots but I suspect most of them are empty. Well, we are in the midwest after all, we didn’t like seeing this sign while we are still in the tail end of tornado season. Let’s keep our fingers crossed that we don’t need to use this shelter during our stay here. This pool is heated to just above 80 degrees and it is very clean and nice. We got here a little late in the day so a dip in the pool will have to wait for another day. 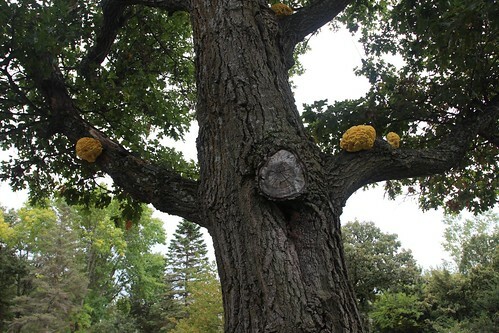 On our walk around the campground, we noticed these ‘brain-like’ growth on some of these cottonwood trees. We had no idea what these things are but they do not look like they belong there. Minnesota is the state where you will find the start of the Mississippi river. 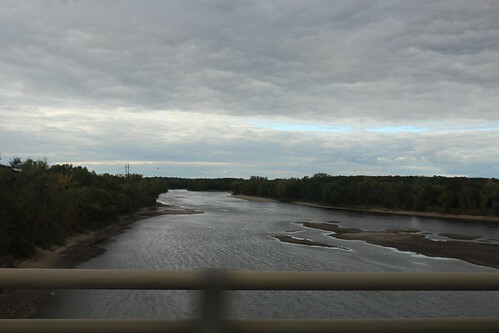 At about 200 miles to the north near the town of Bemidji is where the 2,530 mile river starts to meander through the country. It flows right through here by Clear Lake and all of this water will eventually make it out to the Gulf of Mexico. I wonder if we will get there before it does. Clear Lake is a tiny little town so there were not a whole lot of places to visit. 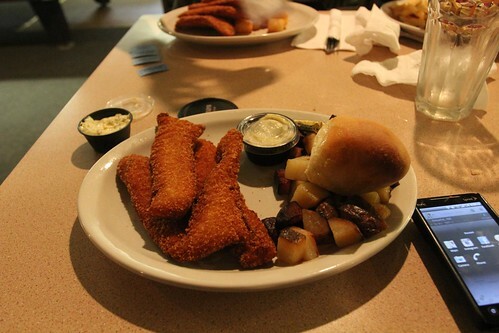 When we asked some other folks at the Airstream Park about a place for a meal, they told us about the American Legions chapter a few miles down in the neighboring town called Clearwater that was having a fish fry. 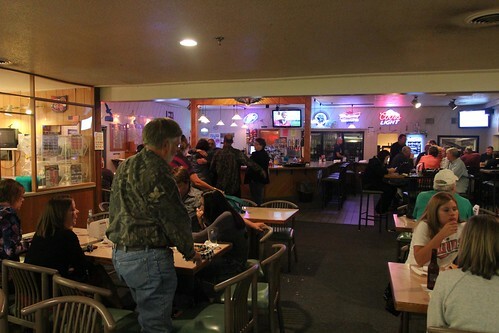 We had not ever thought about eating dinner at an American Legions but it is actually quite a good idea. The prices are good, food is great and it all benefits our people in the arm forces instead of some Wall Street trader. Guess who is happy to not be in the van for a few days. Day 37: Driving into St. Paul, Minnesota. 9 Responses to Day 36: Three straight transit days to Minnesota Airstream Park. Dan, you and Marlene and the kids make friends easily so naturally you get invited to stay places for free. I’m sure they are glad to have you. 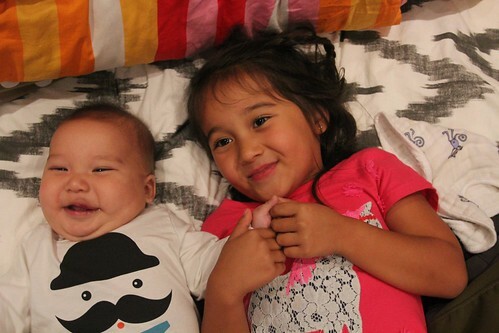 All of the kids, including now Luka, have great smiles. Congratulations on the 400th post. That is quite an accomplishment. Thanks Frank! Not until this trip have we met so many Airstreamers in such as short period of time. I think most of us have a lot in common to begin with and the rest sort of just falls into place. Sound like you are enjoying the northwest. Keep the blog posts coming! We are really enjoying them! @Krista Let me know if you’d like us to take a look at it for you while we are here. We are headed across to WI probably on Sunday or Monday. I was thinking about driving across to Eau Claire for that beer festival last weekend but it didn’t quite work with everyone else’s plans 🙁 We will definitely hit you up on Wisconsin tips when we get there! Here’s a tip for Wisconsin. 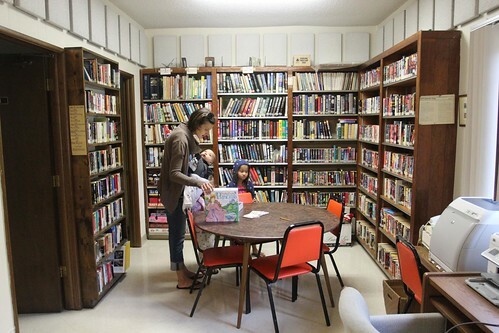 Bookworm Gardens in Sheboygan. See my post about it with a link to it. The girls will love it this place. My husband actually were in Eau Claire working the beer festival (I work for Sprecher Brewing and he is a photographer taking photos at the event)!!! We live about 3hrs Northwest from there but if you do pass through the Eau Claire/Chippewa Falls area try to stop at the Leinenkugel’s Brewery, the tour is free with 4 free beer samples and kids seemed to welcome (they were on our tour anyway) oh and they have a Leine’s Airstream! So *that’s* how you ended up with a gazebo site — you had connections! It was great to meet you guys — glad to have the chance before our routes parted ways. Enjoy the rest of what looks like a relaxing stay! @Frank – We will looking to a stop at Sheboygan on our way to Milwaukee next week! @Krista – I found out about the beer fest from your FB post 🙂 Thanks for the reco on Leinenkugel’s! @Kerri – I found out today that both of our sites are on the market from the guy who owns the site you guys stayed in. Ours is for sale for $17,000 and yours is $4,000. I don’t think the gazebo is worth the extra 13 grand if you ask me!